I’d recently gone for a mutli-brand event that Sephora has organsied. Among all the brands, Nailsinc spray on nail polish caught my attention. Its such a remarkable and a handy product for someone like me who has unsteady hands. I was soooo intrigued by it that I will be placing an order soon from their website. 1. You need to apply a base coat. They recommend their base coat, but i reckon any base coat would suffice. Allow it to dry completely. 2. 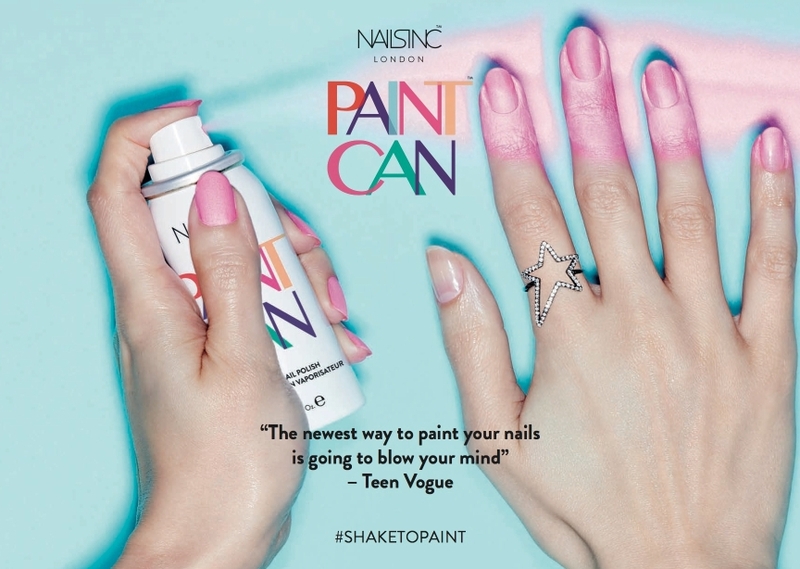 Shake the can and from a distance of 10 -15 cm, spray the polish directly onto the nail area (cover and protect the areas you are spraying on to). 3. Apply a top coat for a longer manicure. 4. Wash your hands with warm soapy water to wash away any excess polish from the skin. Alternatively you can even use a nail polish remover on a cue-tip.